Hello my sweets! It has been ages since I have done a Holler! post. For those of you who don’t know about this, I started this series way back in the day to bring to you some interesting products that do the rounds of the international blogsphere. As usual a lot of these are not available in India yet but hopefully will soon be making the rounds of our shores. I came across this really pretty and interesting looking product that has a lot of people buzzing. 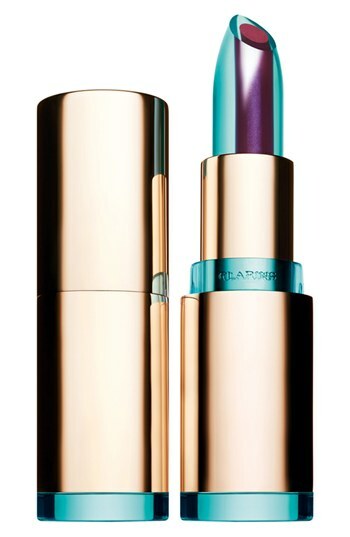 It is a Limited Edition (LE) product from the house of Clarins called the Instant Smooth Crystal Lip Balm. Will you look at these?!?! A transparent jelly like casing in which helps to plump up your lips with a pigmented core which imparts a hint of color. Provides moisturization along with a mild tint. 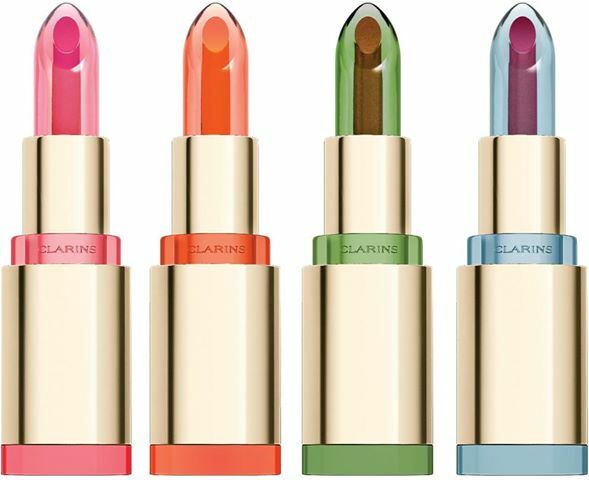 Available in 4 shades – Crystal Rose, Crystal Mandarin, Crystal Gold Plum and Crystal Berry. Priced at $24.50. Some people are loving it and some are leaving it but no one can ignore it! They are just so pretty and look like jelly candy (chomp!). I really want to try these babies out…What about you?